Great video… I might have to direct the odd client of mine to this page to view this. I’ve had a few who have to keep asking me over and over again how to make a post, so something like this could be very helpful. Exactly the reason why I made it myself. 🙂 Hope it comes in handy. WordPress is just about as easy as it gets, lately I throw together a short video showing the exact steps people need to make to create a post on their website and it helps tremendously when it comes to them doing it on their own. 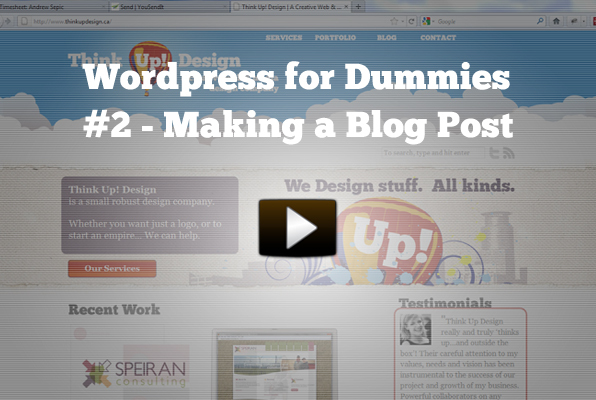 Thanks for the very informative video on how to make a blog post. You kept it very simple and easy to understand.